Dr. Stephen Attard heads the firm’s Corporate Finance and Tax department, and has advised and assisted international clients in respect of Maltese corporate law and tax aspects in a wide range of transactions for more than 25 years. His clients include various internationally-listed corporate groups, financial institutions, private equity and hedge fund promoters and managers, investment funds, privately-held corporate entities, and high net worth individuals. Stephen has contributed directly in drafting various amendments to Malta’s tax laws over the years, including tax rules applicable to companies, yacht and aircraft finance leases, securitisation vehicles, trusts, and foundations. 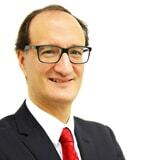 Stephen is a frequent speaker at domestic and international conferences, and is also a lecturer and examiner on trust law at the University of Malta.